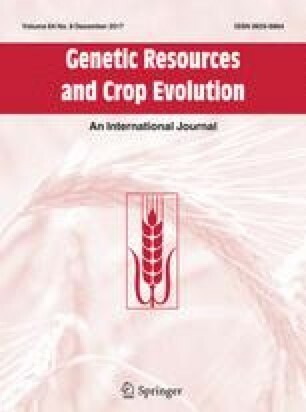 Forty-four Asparagus officinalis cultivars, gene bank accessions and breeding lines as well as thirty-four accessions of wild relatives of Asparagus were evaluated for resistance to Asparagus virus 1. Three different test strategies were developed for the assessment of individual plants: (1) natural infection under field conditions, or two vector-mediated infection assays using the green peach aphid Myzus persicae (2) in an insect-proof gauze cage or (3) in a climate chamber. The AV-1 infections were verified by DAS-ELISA and RT-PCR approaches. All tested 660 individual plants of A. officinalis germplasm were susceptible to AV-1 infection. In contrast, in 276 plants of 29 Asparagus wild accessions no virus infection could be detected. These resistant accessions comprised of nineteen diploid, tetraploid and hexaploid species of both the Eurasian clade and the African clade of the asparagus germplasm. Data of the AV-1 resistance evaluation are discussed in relation to the genetic distance of the resistance carrier and potential application in breeding. The online version of this article (doi: 10.1007/s10722-016-0476-y) contains supplementary material, which is available to authorized users. The research was supported by the Federal Ministry of Agriculture and Food (BMEL). We wish to thank Barbara Sell, Susanne Kozber, Karla Müller, Elke Zjaba, Ute Fuhrmann, Ilona Renneberg and Anke Dilger for the excellent technical assistance. Furthermore, we thank all breeders and gene banks for allocation of the asparagus material, especially Dr. Ludwig Martins, curator of the collection of the Gruson-Gewächshäuser Magdeburg. The authors are grateful to Dr. Heiko Zibell for his critical review of the manuscript. The authors declare that they have no conflict of interest. Furthermore we declare that the experiments comply with the current laws of Germany.